Face ID is one of the coolest features of the new iPhone. Every Apple user is very excited about this new feature. Besides Touch ID and password unlock, Face ID is relatively easy to use and fast unlocking feature. In this feature, you will have to put your iPhone in front of your face, and it will recognize your face. After recognizing it, it will unlock the phone without any other unlocking method. This method is very fast as you just have to hold the phone in front of your face and it will be unlocked. This feature also provides you safety and security in all terms. 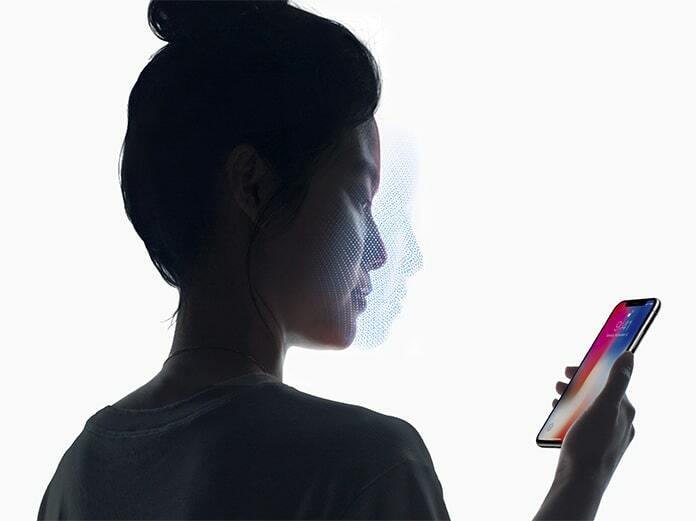 So, in this post, we will show you how to set up Face ID on iPhone X. In Face ID feature, you have to set up your face as screen unlock method. Besides regular unlocking, you will need to set up Face ID on iPhone X. 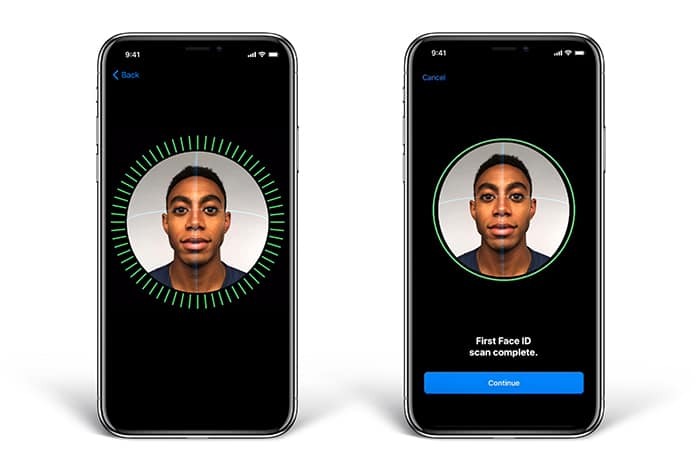 A lot of people are confused about how to set up Face ID on the new iPhone. Well, we will tell you the step by step procedure of how you can do this job. In Face ID set up, there are two processes. The first step is Partial Capture and the second one is Full Capture. In the first step, which is Partial capture, you only set up your face from the front view. In other words, you will only set up your face in one angle. On the other hand, the Full Capture process allows you to set up different angles of your face so that you will be able to unlock your iPhone more comfortably. If you are very excited about this feature but don’t know how to use it, we will tell you in details. Here is the detailed step by step process which will help you a lot in this procedure. 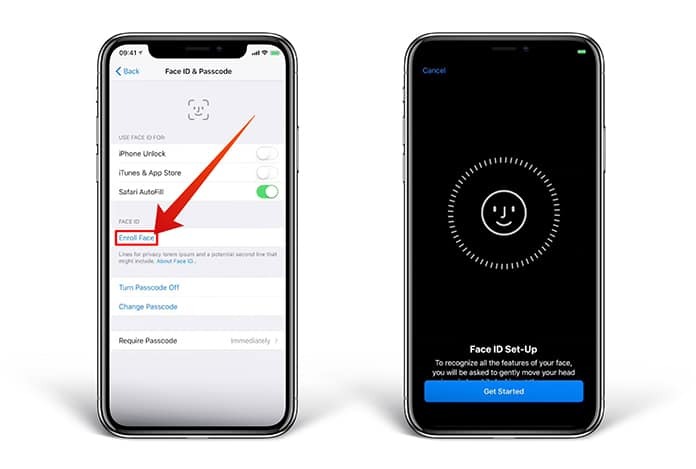 Step 1: Open the Settings app on your iPhone and go to Face ID & Passcode. Step 2: Now click on the option named Enroll Face. Step 3: Here you will see another screen with Face ID setup. Click on the Get Started button at the bottom. Step 4: Now position your face in the camera in the front view. Keep in mind that you must keep the entire face on the camera screen. Step 5: Now you will have to move your head to complete the circle. You will also see the related instruction on the setup screen. Step 6: Once the scan is finished, tick on Continue button to move on. Step 7: Now head to the second scan to setup other angles of your face. After this, Face ID will be set up on your iPhone X. This is a straightforward process to set up Face ID on iPhone X. You will just have to take care of a few things. Always hold your iPhone in front of the face. Never forget to hold your iPhone with two hands. If you set up or unlock your iPhone with Face ID while holding the phone in just one hand, it may cause some angle problems. Simply follow the process and enjoy this new feature without any problem.